Newer Samsung TVs have a feature called “Auto Motion Plus,” which is a form of motion smoothing. Motion smoothing is widely disliked for making a TV’s picture feel too smooth and sometimes a little strange. What Is “Auto Motion Plus” Anyway? 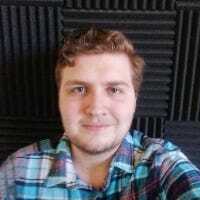 Auto Motion Plus works by increasing the framerate of content you watch. Most TV in the US is filmed at 24 or 30 frames per second (fps), but almost all TVs refresh at 60fps or 120fps. So the idea behind motion smoothing is that by inserting extra interpolated frames, your TV can bring the low framerate 30fps content closer to the smoothness of high refresh rate displays. The problem is, people have become so familiar over the years with watching certain types of media (like movies and TV shows) at 24 or 30fps that it feels weird to watch them at a higher frame rate. Movies just don’t feel like movies anymore. High refresh rates seem a lot more “real” and can pull you out of the immersion of a movie. For things like sports and games, it’s fine, but it can have weird effects on other content. Plus, the extra frames are often quite blurry or just straight up wrong. 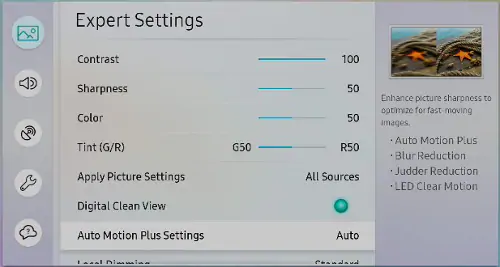 The option to disable it should be under the Picture options on most Samsung TVs, and possibly under “Expert Settings.” Look for an “Auto Motion Plus” setting. 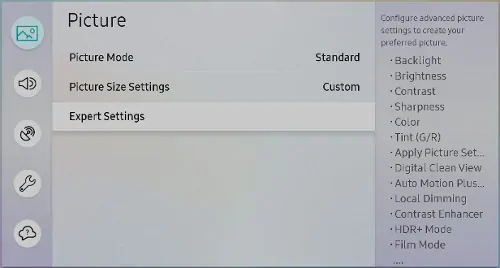 This will open up a dropdown menu with “Auto,” “Off,” and “Custom” options. You can turn it off entirely with “Off,” or adjust the settings for it under the “Custom” option. If you have a problem finding the setting, it may be under a different menu, so it’s best to consult your TV’s manual, which you can find online.